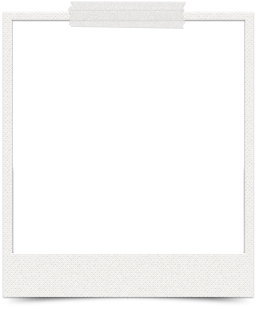 Welcome to the website of Tameside Safeguarding Children Partnership. We want to make sure that children and young people that are in Tameside are protected from abuse, neglect and feel safe and cared for. We all share responsibility for safeguarding and promoting the welfare of children and young people, whether as a parent, carer or family member, a friend or neighbour, an employer, or as a paid or volunteer worker. This website has been developed to offer up to date and accessible information about safeguarding children and young people and we hope you find it useful. If you require further information about TSCP, or would like to give us your views or feedback on this website, please contact us. Tameside Youth Council has consulted with a wide range of young people and developed a ‘Voice of a Child Strategy’. The Strategy is for anyone in Tameside who works with children and young people and all of our partner agencies have signed up to it. It aims to improve the participation of children and young people and sets out a series of pledges and expectations that all practitioners and managers should work to when working with children, or when commissioning or managing a service. Tameside Safeguarding Children Partnership is responsible for making sure that children and young people are kept safe in Tameside. 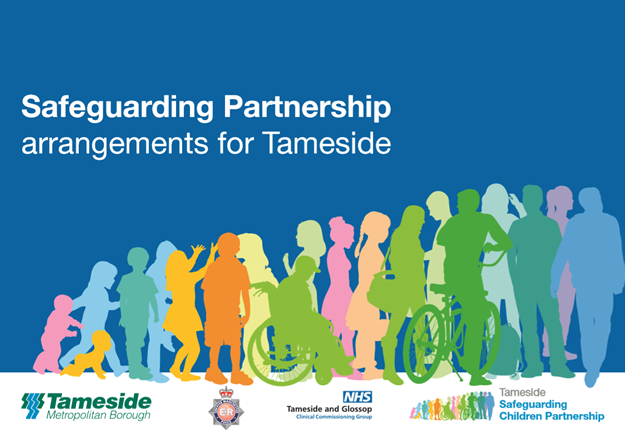 The newly created Tameside Safeguarding Children Partnership are pleased and excited to publish their multi-agency safeguarding arrangements. 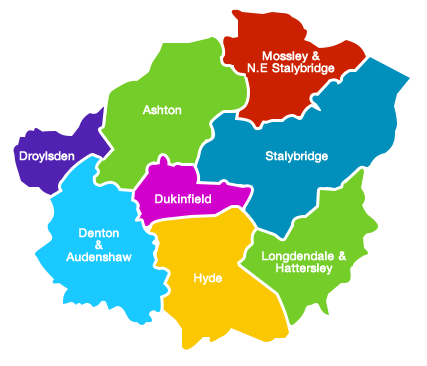 The new partnership includes Tameside MBC, Greater Manchester Police, Tameside and Glossop Clinical Commissioning Group and Education as well as a wide range of other partners. Together they are responsible for making sure that children of all ages and abilities get the help and protection that they need in Tameside. The Tameside Safeguarding Children Arrangements outline how the partnership will achieve that aim. This report provides an overview of the effectiveness of local arrangements to safeguard and promote the welfare of children, set against a comprehensive analysis of the local safeguarding context. The Smarter, Stronger, Sooner, Safer Strategic Framework is a statement outlining Tameside’s integrated approach to improving outcomes for children, young people and their families through early help and provides a guide to the workforce on the vision, principles, model, priorities and enablers of early help that will impact on children and families lives. This strategy sets out Tameside’s strategic approach to tackling domestic abuse. In recent years, there has been an increased awareness of child neglect and the harmful effect on children brought up in neglectful environments. Neglect is a significant factor in many Serious Case Reviews (60%) and is one of the most common reasons for children to be made subject to a Child Protection Plan. The first phase of a five-year programme of change to transform mental health and wellbeing services for young people in Tameside. Stay up to date with Safeguarding Children developments by signing up for email alerts.